^ Witchel, Alex. "Mandy Patinkin: 'I Behaved Abominably'". The New York Times. New York City: The New York Times Company. Retrieved 2013-08-21. ^ Andreeva, Nellie (25 June 2010). 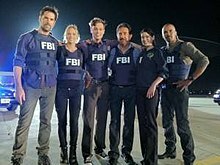 "'Criminal Minds' update: Paget Brewster inks new deal & A.J. Cook wraps character". Deadline Hollywood. Penske Media Corporation. Archived from the original on 28 February 2019. Retrieved 7 April 2019. ^ Harnick, Chris. 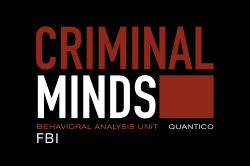 "Jennifer Love Hewitt Joins Criminal Minds as Series Regular". E! Online. Los Angeles: NBCUniversal Cable. Retrieved 2 July 2014. ^ Fahey, Mike. "The Criminal Minds Game Gets Right To The Grisly Bits". Kotaku. Retrieved 2018-11-28.